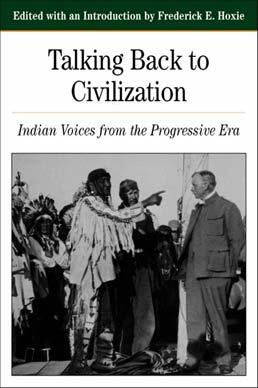 Filling an important gap in the chronology of Native American studies, from the 1893 Columbian Exposition to the 1920s' congressional land hearings, Talking Back To Civilization shares the voices of those who worked in a variety of fields to defend their communities and culture. Twenty-one primary sources from journal articles, testimony, and political cartoons by Native Americans of the Progressive Era focus on subjects such as native religion, education, and Indian service in World War I.
Henry Roe Cloud Presents an Alternative Vision of Indian Education, 1914. Charles Eastman Compares the Morality of Indians and Modern Christians, 1916. Francis La Flesche and Fred Lookout Defend Peyote before Congress, 1918. Carlos Montezuma Advocates the Abolition of the Indian Office, 1914. Arthur Parker Indicts the Government for Its Actions, 1915. The Society of American Indians Supports Tribal Claims, 1913. Chauncey Yellow Robe on the Wild West Shows, 1914. Arthur Parker on the Alleged Racial Inferiority of Indians, 1914. Chauncey Yellow Robe on the War Effort, 1918. Zitkala Sa on the Paris Peace Conference, 1919. Charles Eastman Sees the End of War as the Moment to End the "Petty Autocracy" of the Indian Office, 1919. Robert Yellowtail Calls for Self-Determination, 1919. Ojibwe Leaders Protest Government Proposals to Abolish Their Reservation, 1920. Sioux Leaders Protest the Leasing of Tribal Lands, 1920. Winnebago Leaders Ask for Justice, 1922. An Appeal for Fair Play and the Preservation of Pueblo Life, November 5, 1922. 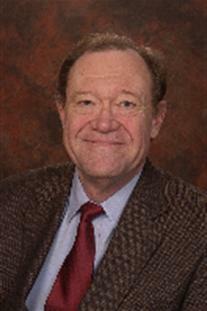 Frederick E. Hoxie is Swanlund Professor of History at the University of Illinois, Urbana-Champaign. Educated at Amherst College and Brandeis University, Hoxie has taught at Antioch College and Northwestern University and has been Director of the D'Arcy McNickle Center for American Indian History and Vice President for Research and Education at the Newberry Library. He is the author of A Final Promise: The Campaign to Assimilate the Indians, 1880–1920 (1984); The Crow (1989); and Parading through History: The Making of the Crow Nation in America (1995). He has edited seven books, including The Encyclopedia of North American Indians (1996). Hoxie has consulted for Indian tribes and government agencies; he is the former president of the American Society for Ethnohistory and served as a founding trustee of the Smithsonian Institution's National Museum of the American Indian.